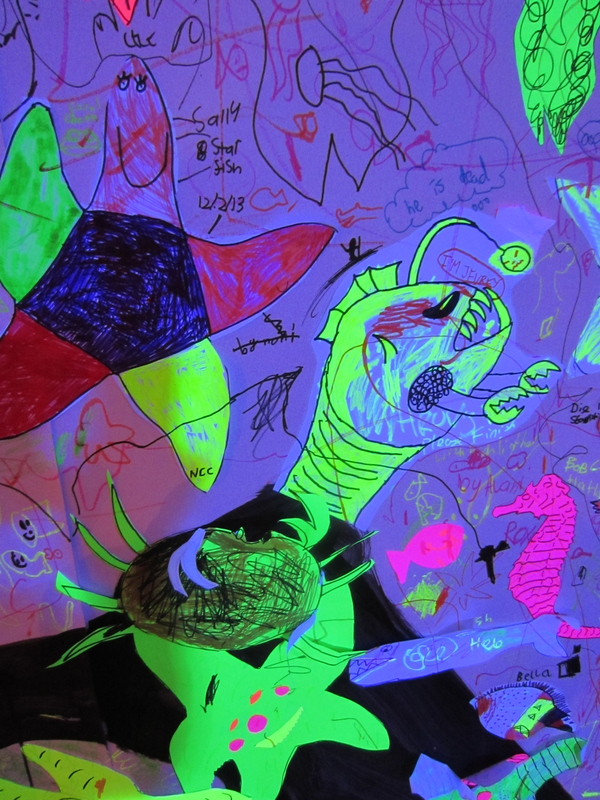 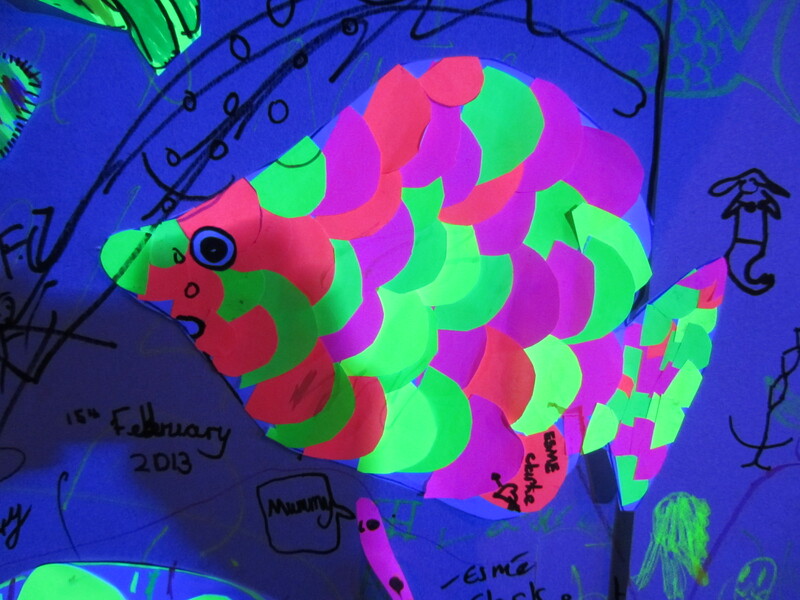 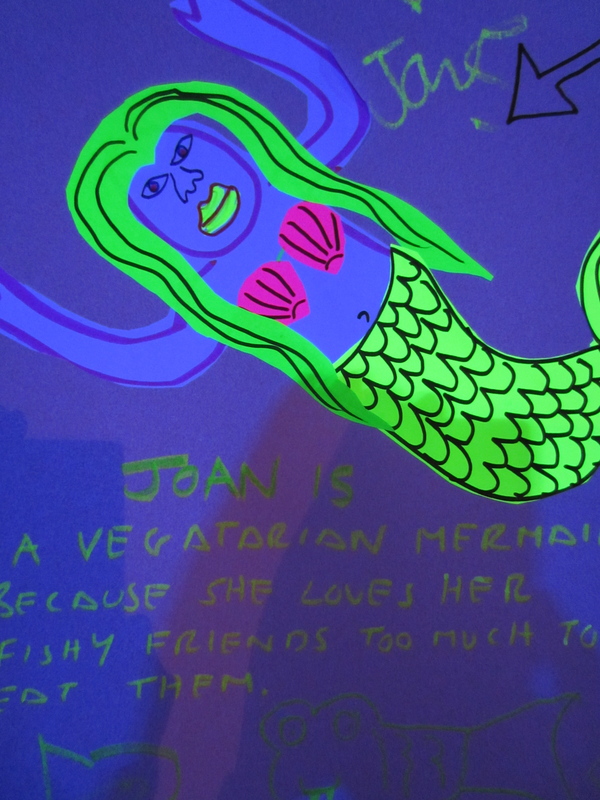 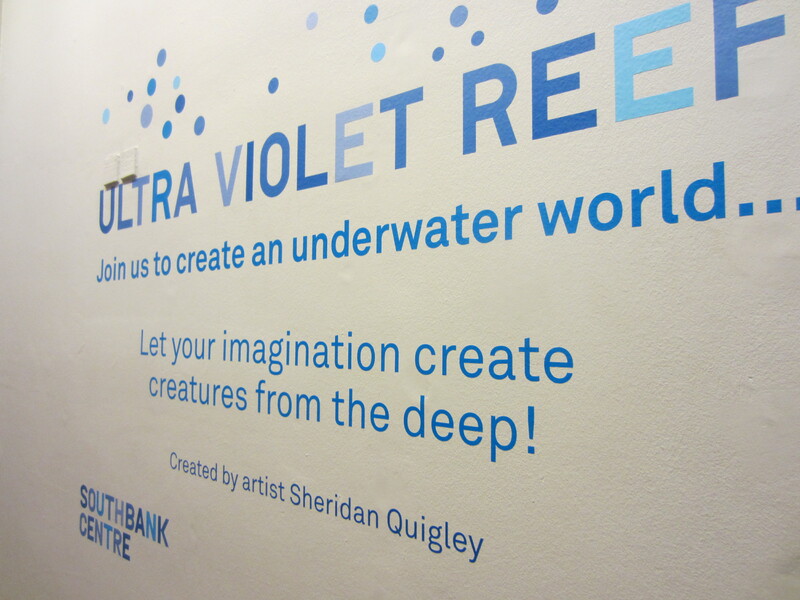 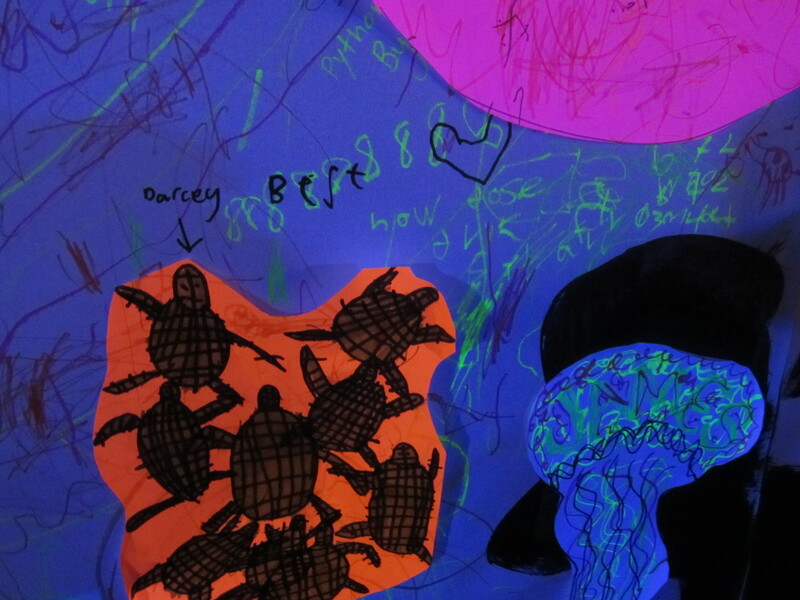 My collaborative drawing installation, the Ultra-violet Reef, was at the Southbank Centre, London for the Imagine Festival, 11th – 24th February 2013. 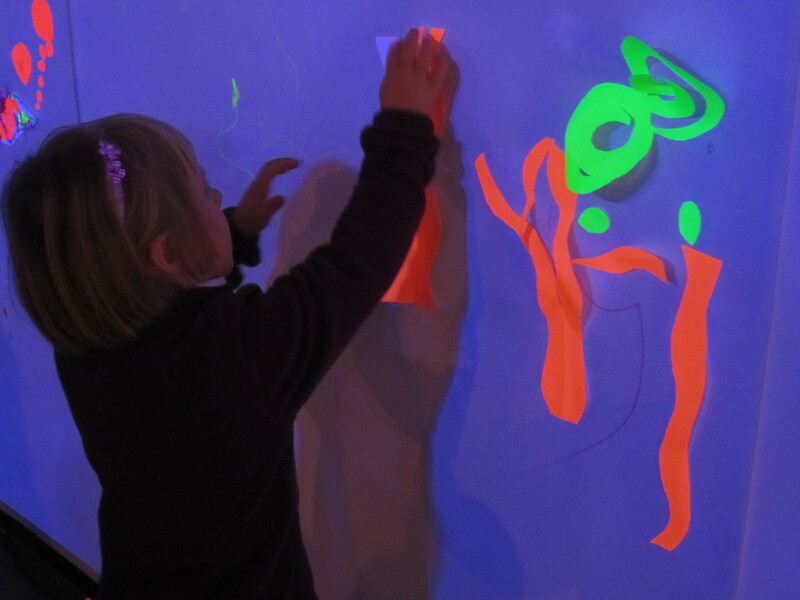 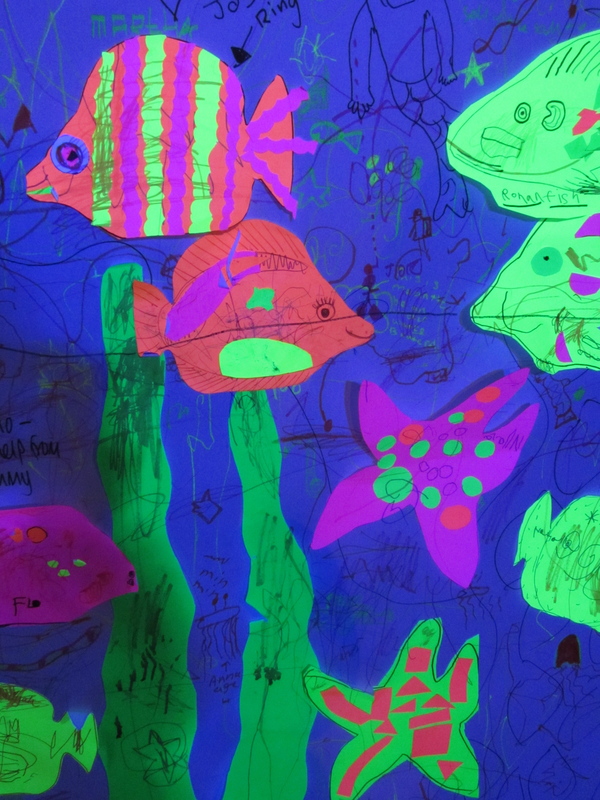 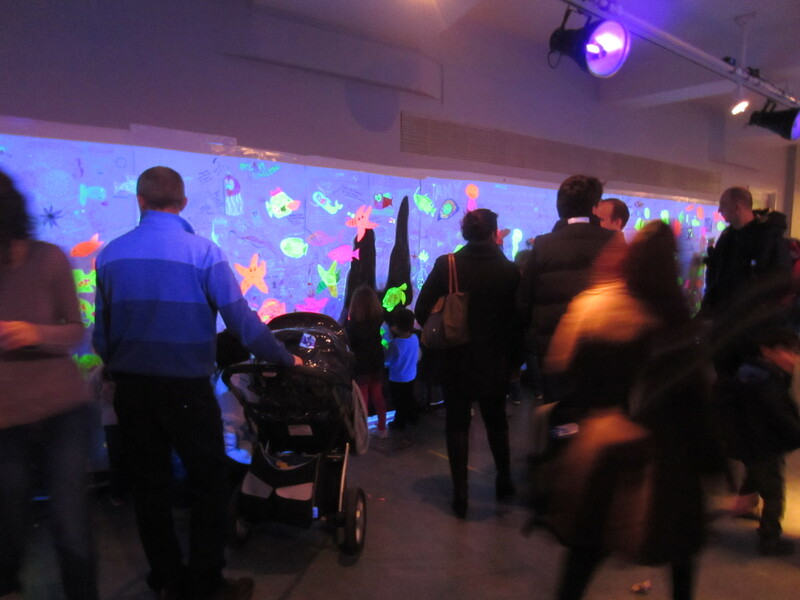 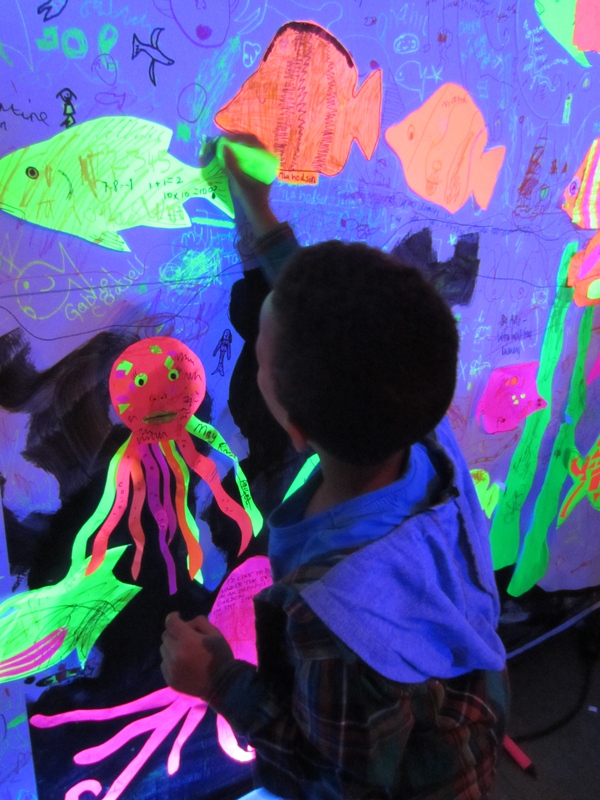 Thousands of visitors of all ages added countless, fabulous, fluorescent drawings and collage works to the walls of the Spirit Level gallery, which had been lit with a battery of UV lamps, creating an incredibly atmospheric underwater environment. 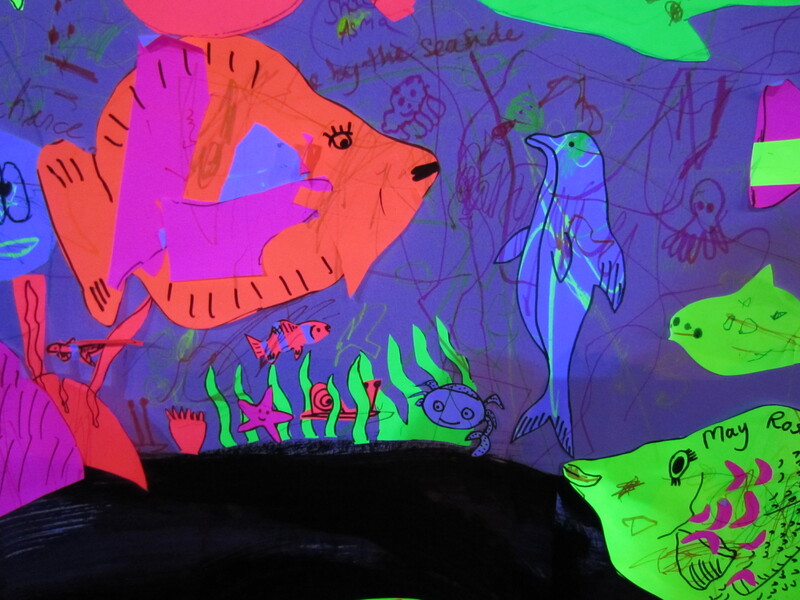 This was enhanced with sound effects of rushing water and whale song. 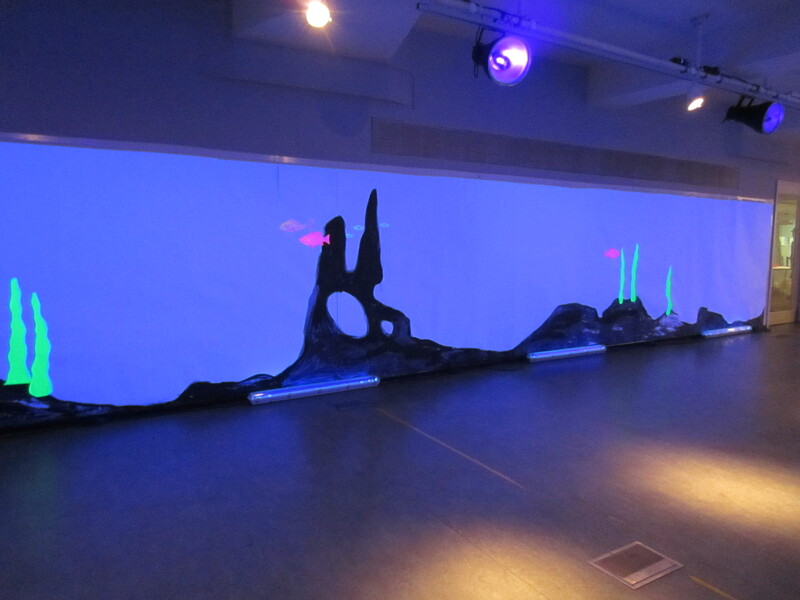 This image shows one of the long drawing walls at the end of the initial setup, after I’d painted in the rocky seabed (and added a few fluorescing weeds and fish), ready for the public to launch in and add their own undersea drawings. 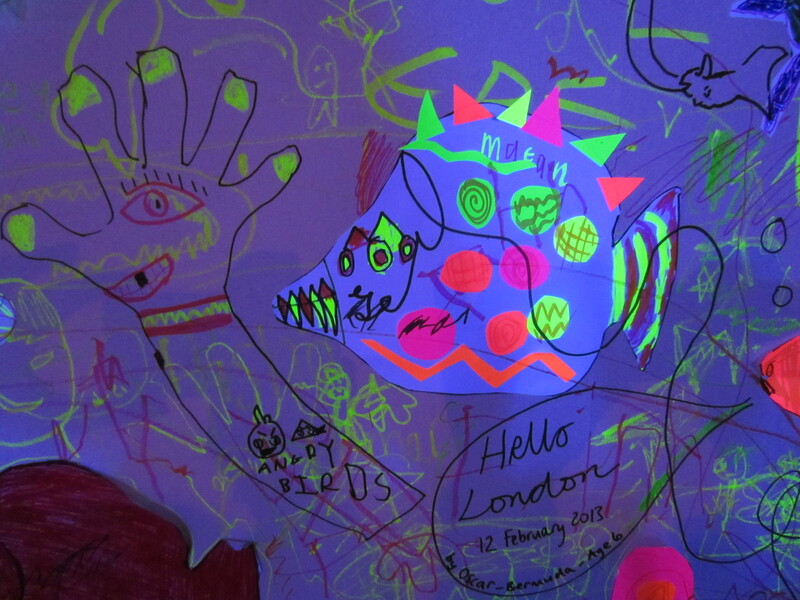 My thanks to Paul Denton for commissioning me, to the fantastic technical team at the Southbank and to Robbie Greenwood of Annulus Art Ltd for hours and hours of wall papering assistance.